New York has a patchwork system for providing defense attorneys for poor people charged with crimes. Some counties hire attorneys in private practice to represent the clients, though at far below their usual rates, while the larger counties have their own staffs of full-time public defenders, whose caseloads are often far heavier than they should be. This is the way that indigent legal defense has been handled in New York for decades, even before the Supreme Court handed down its 1963 Gideon v. Wainwright decision, which required states to provide legal representation for poor people accused of crimes. New York's leaders shoved the responsibility down to counties and stuck them with the bills. County officials and civil liberties advocates have long argued that the state should pay for New York's indigent legal services, and the state would reimburse counties for those costs under legislation pending in the Assembly and Senate. The legislation would phase in the state's obligation over four years. The New York Association of Counties supports the concept and wants a plan included in the state's 2016-17 budget, which is currently under negotiation in the Legislature. The New York Civil Liberties Union has also spoken in support. The legislation would remove a significant expense from county budgets, which would help the governments stay under the state-imposed property tax cap, says NYSAC deputy director Mark LaVigne. Monroe County spends approximately $12 million a year on indigent defense services, Public Defender Tim Donaher says. The county budgeted $7.6 million for the Public Defender's Office in 2016, he says, and another $4 million for the Conflict Defender's Office and the assigned counsel program. The legislation would also improve indigent defense services, LaVigne and Donaher say. 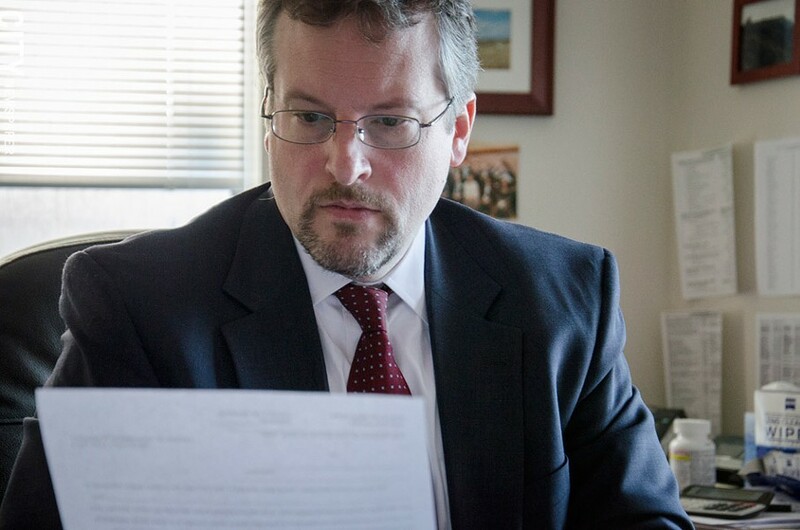 The bills require the state to implement caseload caps for public defenders, ensure that qualifying defendants have legal representation at their first court appearances, and generally improve the quality of representation, they say. Right now, indigent defense services in five Upstate counties — Ontario, Onondaga, Schuyler, Suffolk, and Washington — already operate under those rules and their public defense systems are funded by the state. The arrangement is the result of a class action lawsuit over indigent defense in those counties, which the state settled in 2014. "It is the state's ultimate responsibility to ensure that across New York State, the justice system is a quality justice system that isn't dependent upon which counties are receiving which state funding," Donaher says.